CHOC Children’s at Mission Hospital is a dedicated children’s hospital located inside Mission Hospital. Through this partnership, South Orange County families have access to pediatric expertise at the moment they need it most—when their child has an emergency or trauma. The ED also offers a CHOC waiting room dedicated just for kids. Patients in the ED may be admitted upstairs to CHOC Children’s at Mission Hospital, which offers a pediatric intensive care unit, neonatal intensive care unit and a medical/surgical unit. 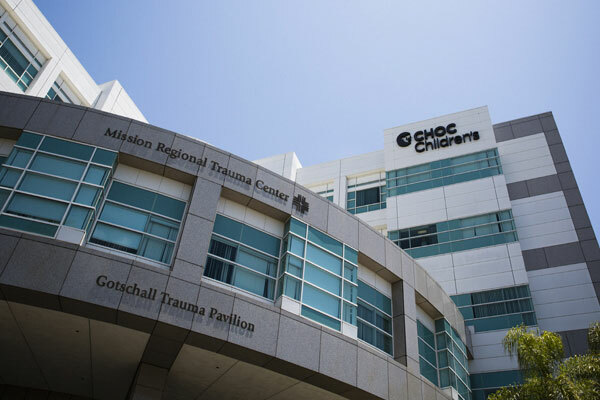 CHOC Children’s and Mission Hospital together provide the only Level II pediatric trauma center in South Orange County. To be designated as a trauma center by the American College of Surgeons, CHOC and Mission Hospital have met strict criteria to provide the highest quality of care to meet all injured pediatric patients’ needs. The trauma center provides 24-hour coverage by board-certified trauma surgeons and quick access to specialties including orthopedic surgery, neurosurgery, anesthesiology, emergency medicine, radiology, plastic surgery, oral and maxillofacial, and critical care. The trauma center also provides injury prevention and education to the community. CHOC Children’s at Mission Hospital has been serving pediatric emergency department and trauma patients for over 25 years.